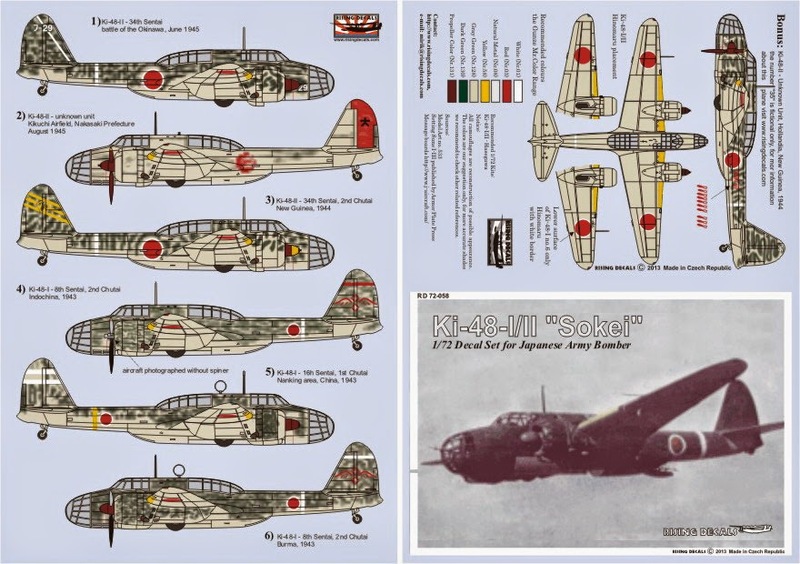 Further to the recent review of Rising Decals the Fujimi 1/72 kits of the Aichi D3A1 and D3A2 'Val' are scheduled for re-release in May at a price direct from HLJ of approximately £5.58 each. If contemplating purchase of the Fujimi kit this might be useful. Image credit: Box art © 1987 Fujimi Mokei Co., Ltd. Correspondent Stefan Sjöberg has very kindly made me aware of an interesting Ki-100 WIP build report in 1/72nd scale using the original Fine Molds kit (the one which included Hasegawa Ki-61-I tei parts and white metal parts) by Swedish modeller Magnus Fridsell here. Kawasaki Ki-61/Ki-100 series fighters seem popular right now and from the work done so far I'm looking forward to seeing how this one progresses. The original Fine Molds "composite" Ki-100 kits were issued by Hasegawa with Fine Molds logo circa 1989 (together with Ki-61-II kits) but were superceded by all new mould kits issued by Fine Molds in 1999 (Ki-100 "fastback") and 2001 (Ki-100 "bubbletop") and which are still available. The "bubbletop" version shown below was the rarer of the two "composite" kits. 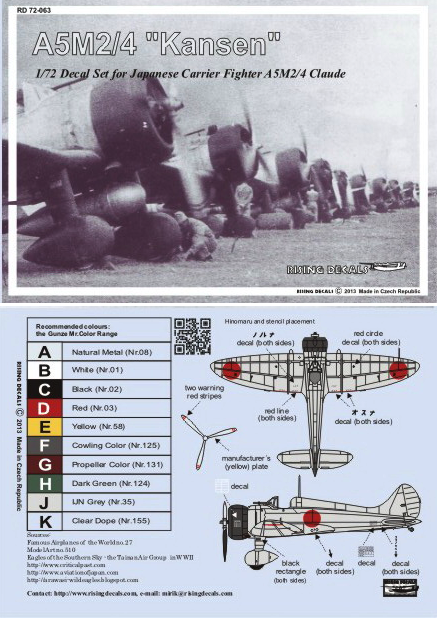 The fastback version came with markings for a 111th Sentai, 1st Daitai option (as shown on the box art) attributed in some sources as the aircraft of Major Toyoki Eto the Daitai commander although there is some doubt about that. Two other options were a 59th Sentai, 2nd Chutai aircraft # 177 and a 244th Sentai example # 32. 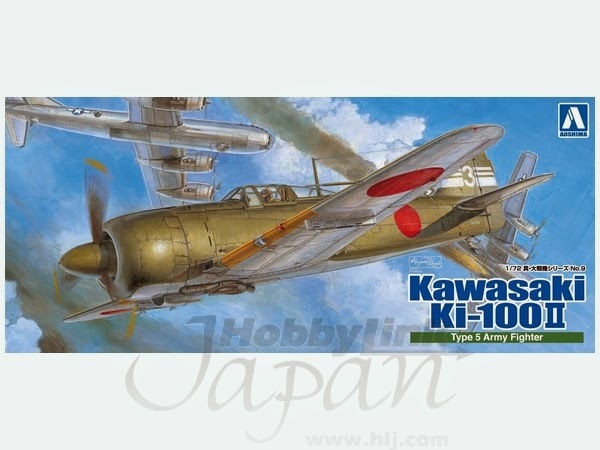 Due from Aoshima in May and following on from their two excellent Ki-100 kits is a new 1/72nd scale kit of the Kawasaki Ki-100-II which they describe as the 'Type 5 Fighter II Exhaust Turbine Type'. Three prototypes were built and it was the lightest turbo-supercharged fighter of WWII. This will be good news for those who like prototypes and experimentals or creating development line ups, also offering plenty of scope for 'what if' builds. Ki-48-I of 16th Sentai, 1st Chutai, Nanking China, 1943 - dark green mottle over grey-green with yellow fuselage band; this unit later specialised in moonlight dive bombing and nuisance attacks on enemy airfields. This is a very attractive sheet with plenty of scope for tackling a variety of challenging 'snake weave' and mottle patterns. This is a welcome set for anyone who wants something different to the natural metal finish usually associated with 'Claude' and will provide some alternative markings for either the Fujimi or Hobby Boss/Doyusha 'quick build' kits. 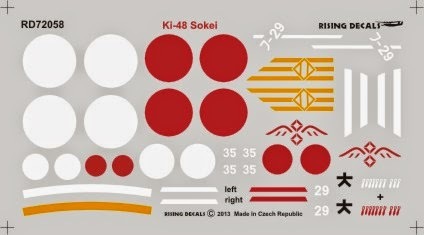 Also from Rising four sets that combine decals for one aircraft subject together with resin accessories/conversion parts. RD Acr-001 combines markings for a 3rd Sentai Tachikawa Ki-55 trainer at Hokkaido during 1943 with resin parts for a ski undercarriage. This set could be used to make a striking presentation of a Ki-55 model on a snow scene base as seen in the classic 1972 Bunrin-do book 'The Japanese Army Wings of the Second World War'. Set RD Acr-002 provides decals and parts for a ski-equipped Mitsubishi Ki-51 'Sonia' of 1st Hikoshidan (Air Division) being tested by the Hiko Jikkenbu (飛行実験部 - Flight Test Department) at Obihiro, Hokkaido in early 1945. 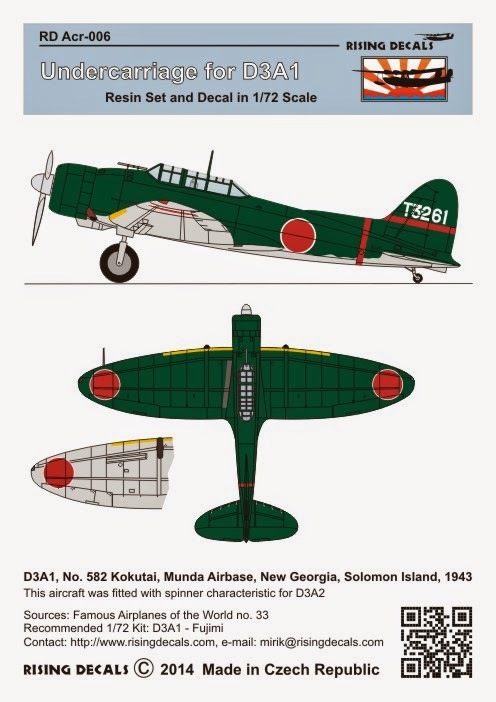 Set RD Acr-003 provides decals and parts to recreate our old friend the Ki-51 'Sonia' of the 10th Dokuritsu Hikodan Shireibu (Independent Air Brigade Headquarters) encountered over Miri, Borneo in March 1945. Rising have interpreted the fuselage band as red bordered white rather than the tri-coloured band depicted by Ronnie Olsthoorn here. Command bands were sometimes painted to represent the rank or duty position of staff officers reflecting established uniform distinctions, for example the red and white duty sash of an adjutant or three narrow stripes sometimes representing the three gold bands on the pre-war full-dress cap of a Captain. Conversion parts for the spat stripped undercarriage on this aircraft are included and together with the decals will enable an interesting model to be made of this Army workhorse. Finally Set RD Acr-006 provides a spat stripped undercarriage for a dark green Aichi D3A1 'Val' of the 582nd Ku at Munda, New Georgia in 1943, this aircraft also being distinguished by a D3A2-type spinner (not included). 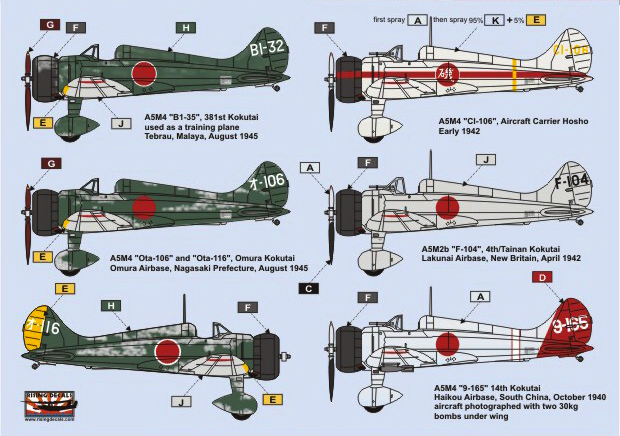 Decals for the tail code, fin and fuselage stripes are included but the Hinomaru will need to be sourced elsewhere. The Fujimi kit is recommended. 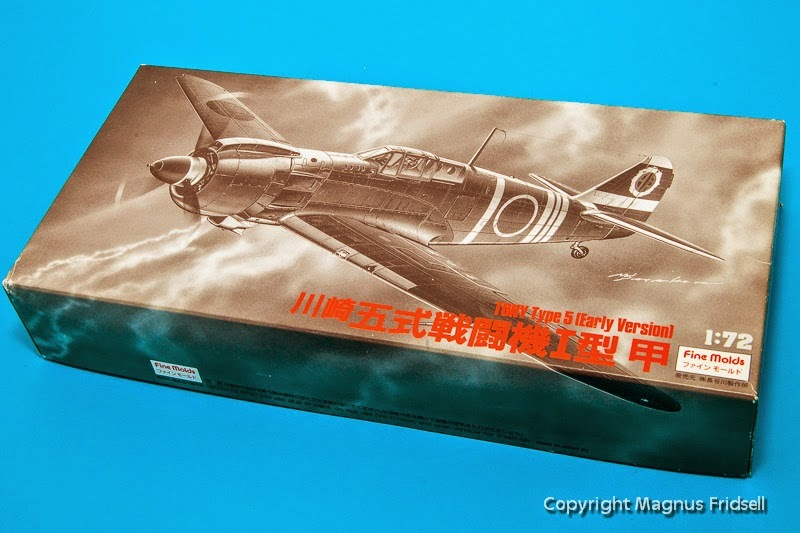 This is a useful and imaginative selection of goodies for the Japanese aircraft enthusiast and ably continues Rising's established reputation for providing high quality aftermarket products. The resin parts are crisply moulded requiring minimum clean up. With thanks to Mirek of Rising Decals for providing these items for review. 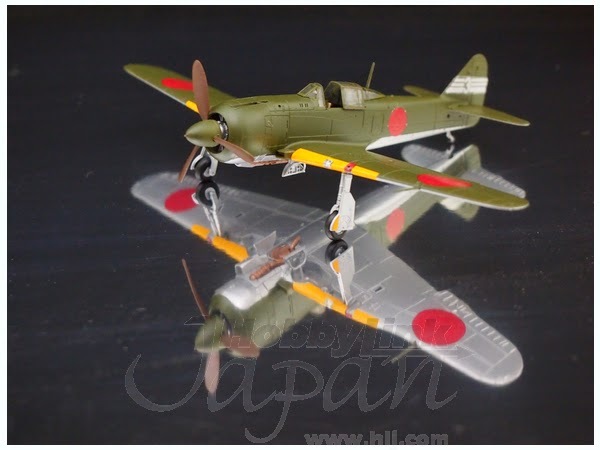 The Nichimo retrospective back in October last year included a link to a superb build of their 1/48th scale Ki-51 'Sonia' by Tetsuya Inoue. 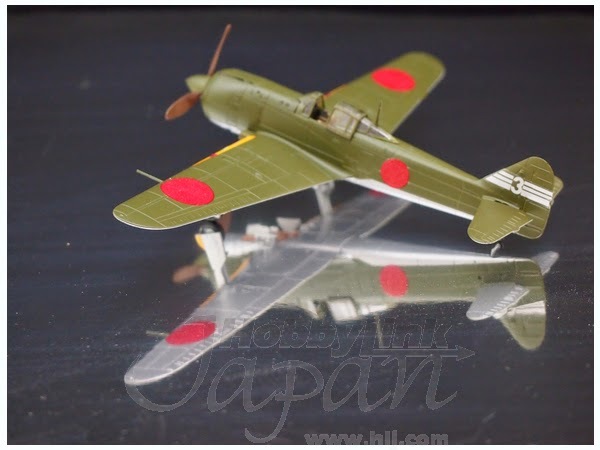 Now Tetsuya has an impressive build of a Ki-61-II Kai 'bubbletop' on the go here involving a kit-bash from the Hasegawa 1/48th scale Ki-100 Otsu and Ki-61-I Tei kits and well worth a look. Hope to see more of his Japanese aircraft subjects in future. Thanks to Tetsuya for kindly providing the link and to Ronnie Olsthoorn for contributing the evocative heading image of his awesome 3D Mitsubishi A6M2 in this 75th Anniversary month of the Zero's first flight. 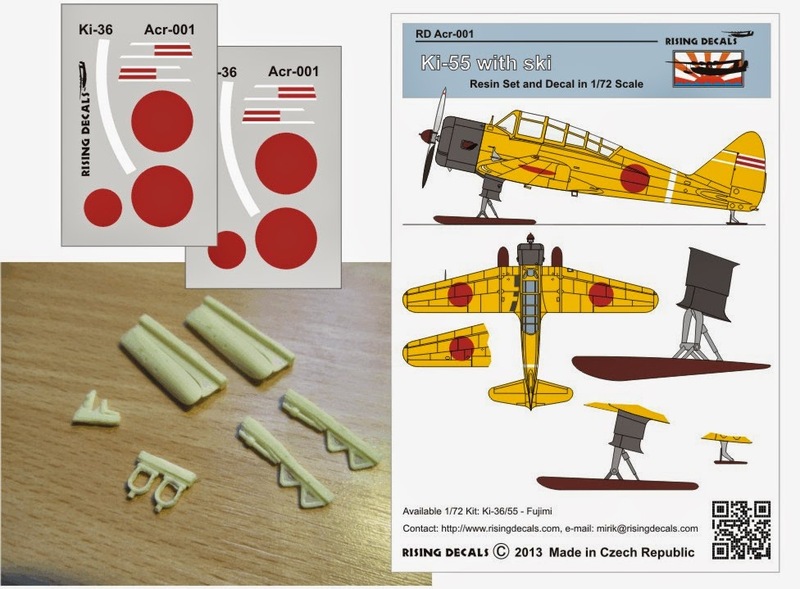 "It is an offence with penalty on indictment of up to 5 years withdrawal of mail order privileges to represent excessive paint wear (in a technique known to addicts as "salt treatment") when building any representation of the Airfix 1/72nd scale Mitsubishi A6M2 "Zero" plastic construction kit. Furthermore the offence will be considered to be aggravated if no attempt has been made to represent the factory applied coat of red oxide primer for which a Judge on conviction will have discretion to extend the sentence by 2 years with a maximum fine of £172 and confiscation of any Japanese aircraft kits in the stash." 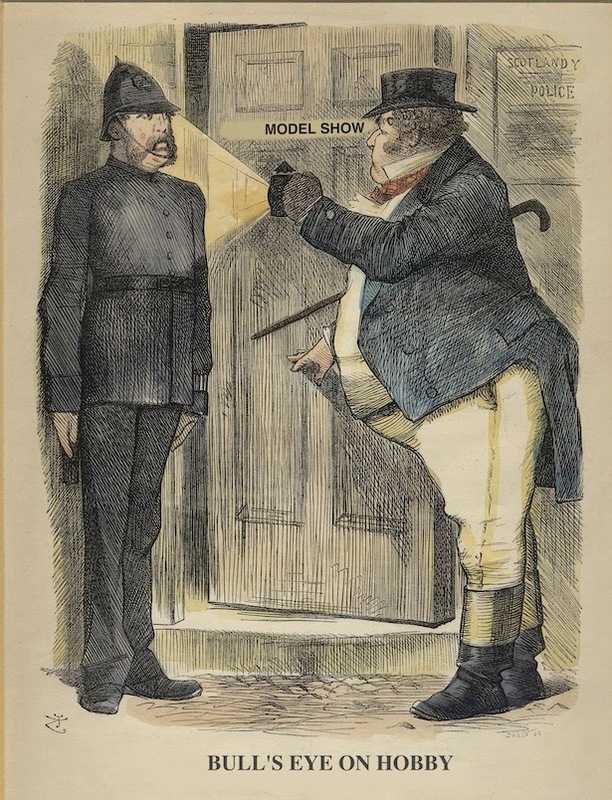 The new law is expected to be enforced by units of Her Majesty's Colour Police who will be patrolling shows incognito and joining model clubs under cover.